Tell us a bit about yourself, and what you do. I’m a strategist and an agency leader. Since 2012, I have jointly run MullenLowe Open, the CX Activation agency inside the MullenLowe Group as the Global CSO. We are headquartered in London, with 15 offices around the world, with experts from CRM, retail and experiential marketing. My passion is applying data and behavioural sciences to creative innovation. I am responsible for developing agency tools and driving our strategic vision. I sit on the Global Planning Council for MullenLowe Group. I work with global companies such as Unilever, Diageo, Google and Etihad to help them create better customer experiences. I am also involved in a lot of pitches, so I see how a wide variety of companies from many different sectors are approaching CX. In the past couple of years, I have established and grown our own data and tech team. I believe a major challenge for our industry is to how best combine the worlds of data and creativity. I dislike the hyperbolic, absolutist claims of both sides; data is not going to ‘kill’ advertising, neither is it simply the latest shiny new toy simply to be put in service of traditional brand thinking. It is where these worlds collide that interesting things happen. As someone with Physics degree and a love of creativity, this space between art and science has always fascinated me. I am an occasional speaker and writer on the subject of data, creativity and retail innovation, including: The Big Data Diet, Dubai Lynx 2017, The eCommerce Friction Lab, South by South West 2014 and Smashing Together Data and Technology, Ad Tech 2018. I was an early pioneer of shopper marketing, helping to establish Saatchi & Saatchi X in Europe as their Director of Strategy. In that role, I was focused on understanding how people shop. We were among the first agencies to attempt a deep understanding of shopper behaviour, combining ethnographic research, cognitive psychology and observational research. I worked with global brands such as Pampers, Head & Shoulders and Guinness. Towards the end of the last decade, we witnessed an enormous change in shopping behaviour. Driven by ecommerce, social media, new demands for convenience and a post-recession shift in values, this new age demanded a most holistic approach to understanding shoppers. So we established MullenLowe Open (then Lowe Open) as a customer-centric activation agency designed for the digital age. We grew quickly in London, established new offices in Moscow, Abu Dhabi and most recently in New York. To be curious. To build an intimate picture of the customer. To make complicated things simple. To bring the outside in. And to uncover great insights that inspire remarkable ideas and experiences. When I began, ‘below the line’ agencies didn’t have strategists. They had smart account people who worked on gut instinct and had strong client and creative relationships. Later at Saatchi & Saatchi X, we built the planning team to focus on real consumer behaviour. We hired curious young planners to go into the world to meet real people, uncover behavioural insights and plot out customer journey’s – something that most traditional Brand Planners just didn’t think about at that time. Now, thinking customer-first, as opposed to brand or channel first, is more common. I believe the next ‘specialism’ that will be absorbed into brand planning will be data planning. In 10 years’ time, all strategists will need to be data-literate. Getting the first job is tough. Agencies aren’t good at hiring green talent and tend to opt for the comfort blanket of experience. But experience just means you can get to answer quicker – it doesn’t mean your answer is necessarily better. It is important for young planners to have the confidence to speak up and put forward ideas, not hold back and wait for more senior people to speak. Most importantly I always tell young planners to not be afraid to ask questions of anyone. The smartest people admit how little they know. During your career, what have you noticed are the key skills and traits that separate great strategists from the mediocre? An ability to make things simple. Asking the right questions and getting clarity on the problem. Remembering that data is not insight. A long presentation is not strategy. And trying to demonstrate how clever you are, tends to leave people thinking quite the opposite. At Saatchi & Saatchi X, I learned that the answer is rarely to be found in a meeting room or a blog post, but by meeting, watching and engaging with real people in the real world. Even in those pre filter-bubble, pre-Brexit days, the differences between real consumers and London agency-land were abundantly clear. 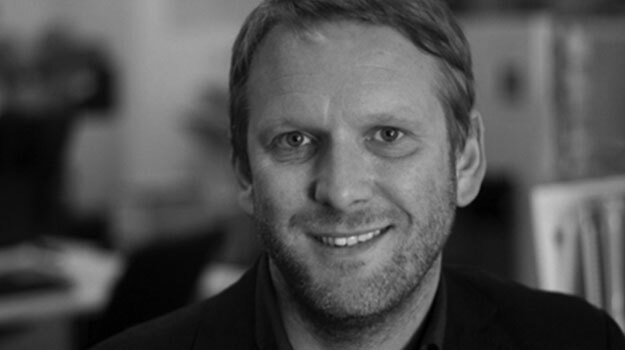 Simon Goodall is Global Chief Strategy Officer at MullenLowe Open. This article was originally published by AdForum.